It's hard to believe that we are in the fourth week of summer holidays. We are having so much fun and time seems to fly by so quickly! I can't remember exactly when these snacks and lunches were made since I have a backlog of pictures. 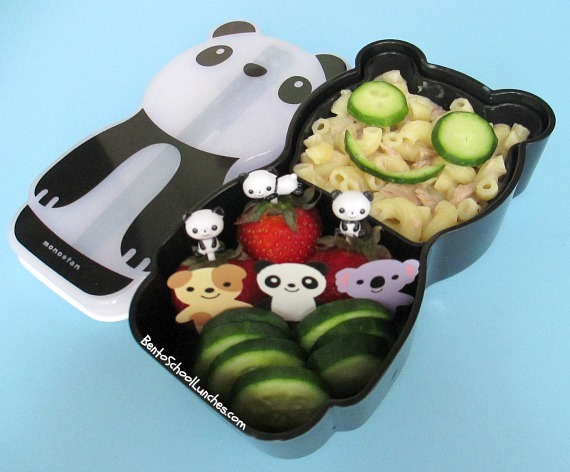 We love our cute Panda bento box and accessories. Tuna pasta with cucumber slices for eyes and cucumber peel for mouth. Strawberries with cute Panda picks and a baran to separate them from the cucumber slices. 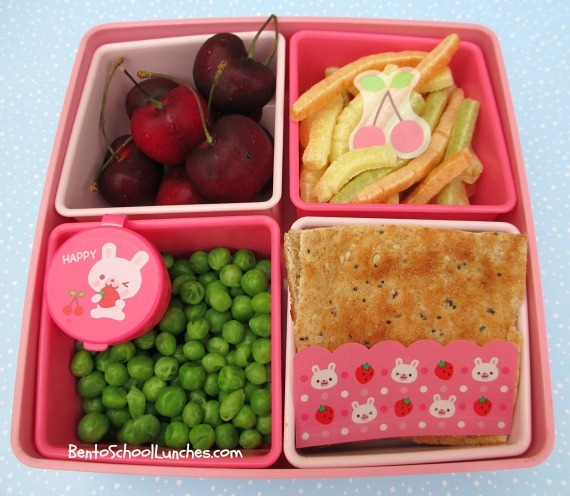 I love my pink bento lunch box, it is a two tier box but I only used one tier for my simple lunch. Flat bread with pink baran, peas and sunflower seed in small pink container. 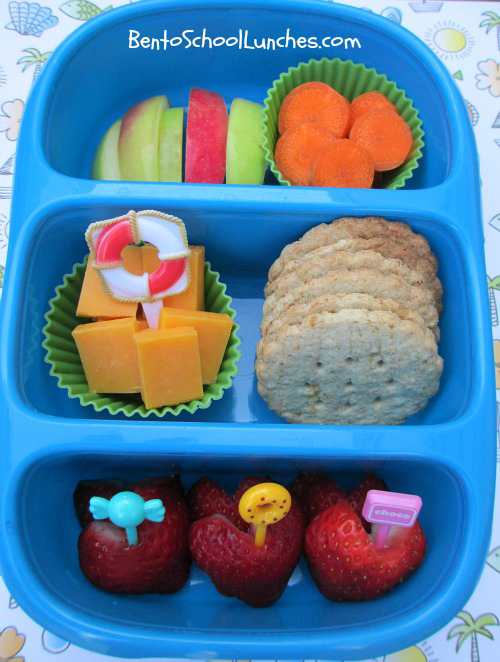 Here are a couple of snack bentos packed in our Goodbyn bynto box. Cheddar cheese pretzel sandwiches with bear baran. 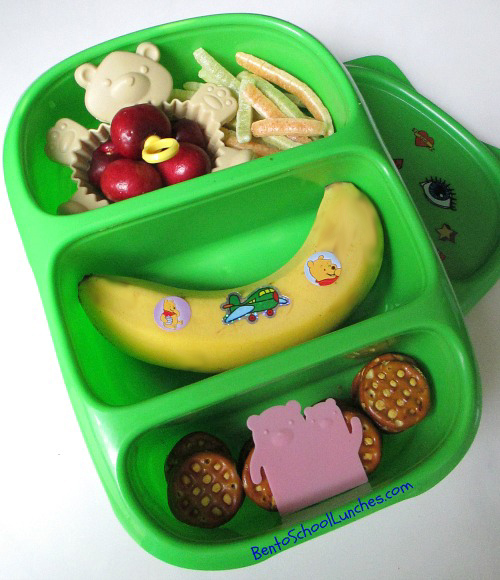 Here are the supplies or similar that I used to make and pack these lunches. Such a cute flat bread lunch!